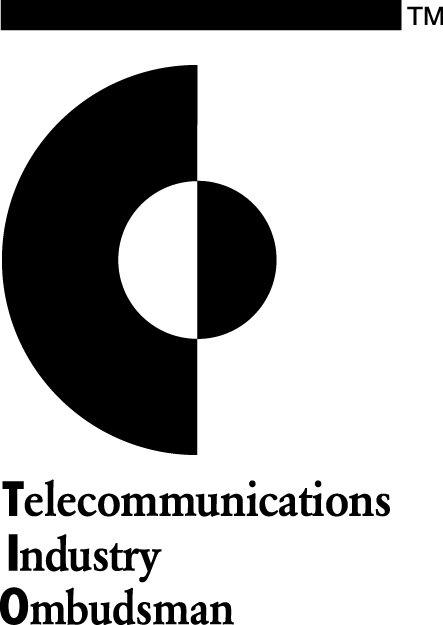 The Telecommunications Industry Ombudsman (TIO) has been around for 20 years, serving as an independent adjudicator for those situations when you and your telco can’t come to an agreement. In the last 5 years or so the agency has risen in prominence, as confusion around phone and internet provision has increased. Once word got out that the seemingly intractable impasses that many customers had with their telco could be mediated by a body with the power to make binding decisions, TIO complaints exploded. The increase in complaints, and the costs associated in handling these complaints, has forced every company involved in telecommunications to lift its game and concentrate on fixing issues in-house. CompareBroadband has taken a snapshot of 17 major providers, showing a 51% fall in claims overall. Telstra, frequently the target of the most ire, experienced a 62% drop. VHA (comprising Vodafone Australia and 3) suffered from network instability and an exodus of customers throughout 2011. Their complaints numbers are down an impressive 70%. The providers picked by CompareBroadband for analysis include the major providers of extensive DSLAM and/or HFC Cable networks for fixed-line broadband (Telstra, TPG, iiNet, Internode, Optus, iPrimus and Eftel). For mobile broadband we have included the three major network operators (Telstra, Optus and Vodafone) and also significant Mobile Virtual Network Operators like Virgin. The rest of the list is made up of majority resellers who have a subscriber base arounf the 100,000 mark, such as Exetel, MyNetFone, Spintel, TransACT, Dodo and Southern Cross Telco. Telstra – The nation’s top telco and owner of the Copper Access Network (CAN) which most other providers rely upon, is normally subject to the closest scrutiny and draws the most vehement complaints. But CEO David Thodey’s commitment to customer satisfaction has paid dividends. TPG – The largest competitor in terms of backhaul capacity and overall presence for ADSL2+ connections, TPG cuts every corner it can and focuses energy in providing bare-bones, high volume connections. TPG draws criticism for its overseas call centre and tendency to ignore tricky connections and line faults; their decision to actively engage with customers on forums like Whirlpool has led to an encouraging drop in customer complaints. Overall, the ISP saw significant drops in every category of escalated TIO complaints. Vodafone and 3(VHA) – The $1bn rollout of an 850Mhz network has been swift and effective, drastically reducing the amount of fault complaints. But also of note is Vodafone’s social media presence on blogs, Facebook and Twitter. An army of Vodafone agents have taken to these networks to publicize every little movement of the rollout, and keep loyal customers happy with quick responses to enquiries. Note – VHA stats refer to 3, with Vodafone tallied separately to reflect that the two networks were separate this time last year. Internode and iiNet – Internode, the ISP of choice for IT professionals and hobbyists has once again outshone the competition, recording just 140 complaints compared with an estimated 200,000 – 300,000 customers. Similarly iiNet, which acquired Internode in Dec 2011, recorded just 619 complaints across an estimated subscriber base of close to 700,000 customers. Both companies have always enjoyed reputations for superior complaint handling and customer service, albeit while attracting a higher price. Dodo – The aggressively priced champion of budget internet has emerged from a horrid 2007-2008 period which saw it as the most complained about ISP by customer percentage, and edging close to equaling the raw number of complaints about Telstra, a company with nearly 40 times the subscriber base. Dodo saw a marked decrease in overall complaints over the last year, even if the percentages were less impressive than the competition. The carrier still recorded 982 complaints overall in Jan-Mar 2012. Southern Cross Telco has seen a 79% decrease in complaints, albeit from a small pool of subscribers and from a small figure in 2011. Of greater significance is the improvement from Vodafone and VHA, which respectively saw decreases of 71% and 70%. Spintel was the only reasonably sized ISP to see any type of increase, with TIO complaints rising from 67 in this period 2011 to 75 in 2012. But with such a small sample and such a relatively small increase, this may be more a consequence of growth. Of the larger providers, Optus had the smallest decrease in complaints, from 2,754 in Jan-Mar 2011 to 2,171 in Jan Mar 2012. This represents only a 21% decrease. Complaint Handling fell by 83% across the 17 ISPs sampled, reducing from a sobering 10,497 complaints this time last year, with only 3,993 for 2012 to date. The TIO complaint log provides a compelling snapshot for customers and ISPs alike. Strategies employed by Vodafone, Telstra and Dodo to improve either customer service or network stability can be said to have paid off well. By contrast, Optus’ relatively unchanged performance suggests that their recently announced strategy to improve their profile in broadband, after concentrating for so long on mobile, is well justified. The agency has had its share of knockers, most notably the late John Linton, founder and CEO of Exetel. Mr Linton dragged the TIO through the courts in 2010-2011, arguing that up to 80% of complaints brought against the ISP were incorrectly handled. Mr Linton sought compensation for the costs involved in dealing with the complaints, which can range from $70 for initial complaints to several hundred dollars for escalated complaints (not counting binding decisions which can address bills in the tens of thousands). The TIO and Exetel came to an agreement in Mid 2011, in which the TIO paid no compensation but did agree to review their complaint process. The final result was that the TIO will reject a large number of claims that are made in cases where the customer simply couldn’t reach the appropriate department with the telco to register their complaint; instead the TIO agreed to provide guaranteed escalation points to first have the issue resolved without the TIO’s involvement. As a result, the TIO has experienced a significant drop in complaints year-on-year, with the latest results comparing Jan – Mar 2011 and Jan – Mar 2012. The next quarter results, which will cover just the period after the Exetel ruling, might prove more telling in how well each provider is actually doing. Even with this proviso, the drop in complaints suggests that telcos are being proactive in a bid to increase customer satisfaction.